NRK: Kjetil Nordin (31) is finally done. 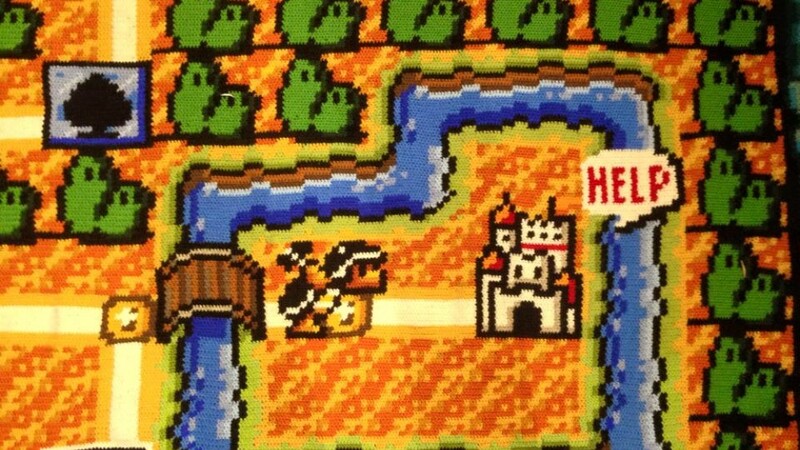 He has spent 800 hours and hundred balls of yarn crocheting the world of his childhood hero. – It is very emotional, fun and weird to have finished. 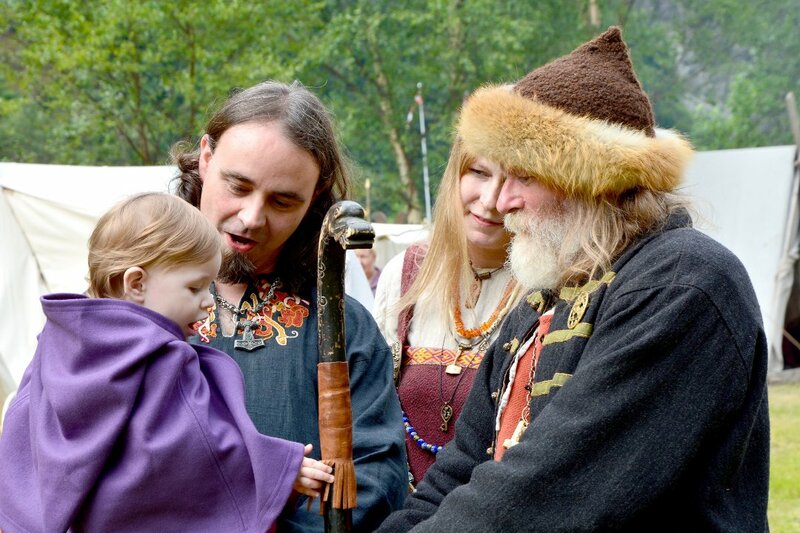 It has taken such a long time, says Kjetil Nordin. For six and a half years, his life’s longest project (so far) has been laying on the table, waiting to be completed. 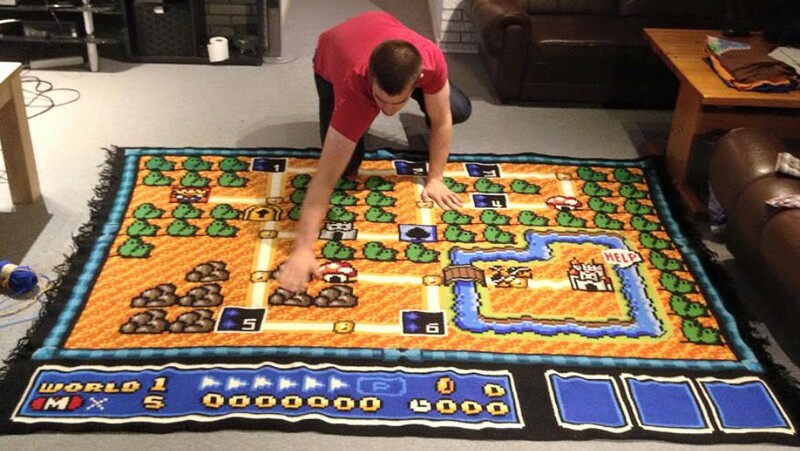 A screen shot from the popular Nintendo game is turned into a blanket that measures 2,2 times 1,8 meters (Editor’s note: 7.21 feet wide and 5.9 feet long). – It has not taken all of my time. You get a bit sick of such long-lasting projects. The great thing is that I have been able to take as many breaks as I have wanted to, he says. Nordin, from Hjelmeland in Western Norway, now lives in Roskilde, Denmark and works as a computer programmer. In addition to crocheting, he has also spent the last six years winning the Norwegian Sky Diving team championships two times. He has also finished two university degrees, and started his career. – The hardest thing has been to accept that it took such a long time. I have spent 800 hours crocheting and many hours researching and searching for the correct yarn, Nordin says. – When the water was half way finished, I saw that I had chosen the wrong shade of blue. It was almost purple, and very ugly, so I had to undo all of it. That took an extra week. When he has not been working on the blanket, he has used his crocheting skills to make smaller «Amigurumi» figures for his friends and family. And the next project is? The Nintendo-version of Super Mario’s world is finished and Kjetil Nordin is looking for a way to display it on his wall without ruining it. – But what are you going to do now when it is finished? – I have no idea, but I have gotten some suggestions. I spent such a long time thinking before I chose this project, so I cannot rush it. I will have a break, and think for a while, says Nordin.